The name MEAGHER is synonymous with SUCCESS in horse racing in Australia. This family business started with John Meagher, who was a prolific trainer of winners (including a Melbourne Cup) in Australia and Singapore. Johns' sons Chris and Dan have been with their father right through their careers, initially as stable hands/trackwork riders before graduating to assistant trainers and finally training in partnership with him. Given the opportunity to train in Singapore, Dan left the partnership in 2016 and is now building a successful business there. Elder son Chris, remained in Australia to train with John, before branching out on his own, establishing a primary stable at Mornington in Victoria and a satellite stable at Eagle Farm in Queensland. With John living close to the stables at Mornington, Chris has the added advantage of having his father as a sounding board and advisor, thus the ability to continue to use Johns' knowledge and experience. 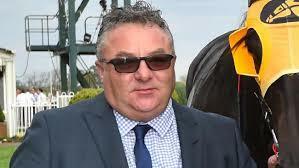 With Chris spending the majority of his time at Mornington, the Eagle Farm stable is run by Andy Kermond. Andy has been involved with racehorses all his life, initially as a jockey, riding over 800 winners, before heading to Japan and then to Singapore, where he teamed up with John. Andy has been with Meagher Racing for over 15 years and as such is fully cognizant with the processes used by the family in preparing horses for racing. Our philosophy is to take a very much hands on approach from the top down. As such, we will limit our stable size to about 40 horses in total. That way, owners can be assured that each horse will receive daily personal attention from Chris, Andy and/or John, that their work schedules/feed etc will be specifically tailored to their needs and that they will be continually updated via email/video/telephone etc of the horses progress.